We are proud to present our stunning new mirrored collection; the Florence collection. This collection is sure to impress. Part of our ever expanding range of Venetian mirrored furniture, this delightful mirrored dressing table features a sensational and stylish curved effect. 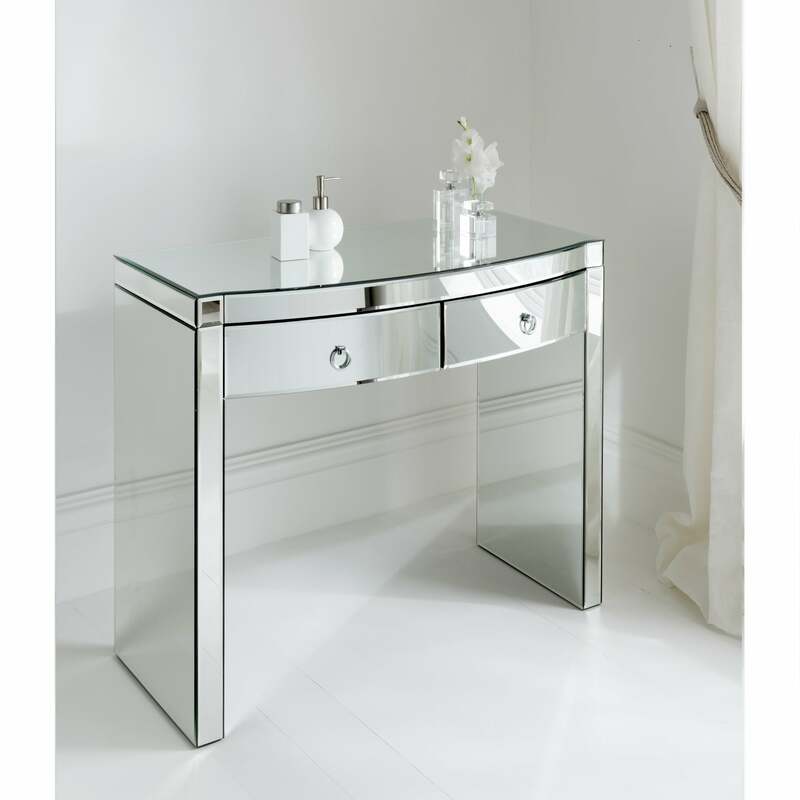 This mirrored dressing table table is sure to impress, brightening up the appearance of any room in your home.